Select a StringyBall based on the firmness that suits you. Slip the cord over your wrist. Adjust the buckle to allow the ball to be tethered to your wrist. 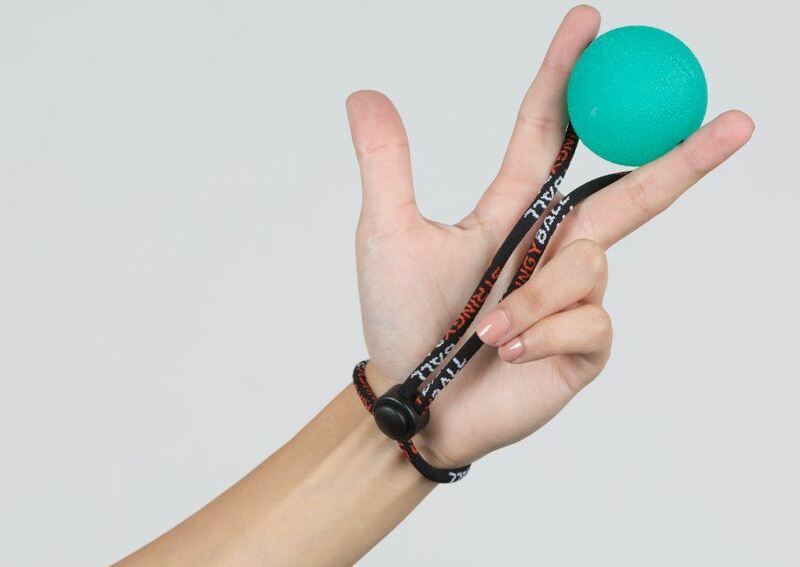 Place ball between any two fingers. Squeeze the two fingers together.